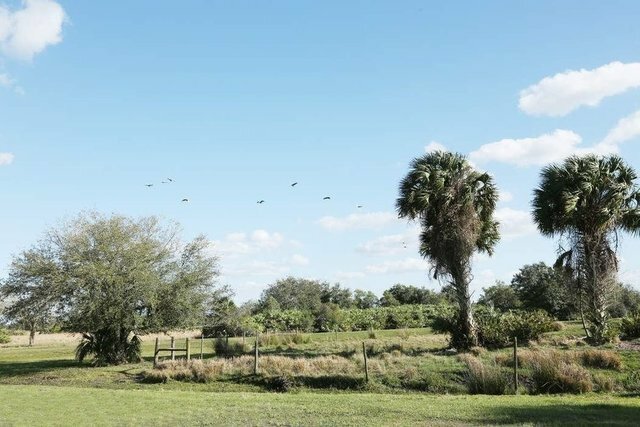 Trophy ranch property located one hour north of Palm Beach with over 3600 fenced acres. Perfectly suited for a family compound, corporate retreat, hunting club or development. The beautiful lodge is fully equipped with five bedrooms and baths, great room with huge stone fireplace, chefs kitchen, wrap around porch and swimming pool. Private lake with dock. Fly-In, Fly-Out landing strip for your convenience. Out buildings. Abundant wildlife for hunting enthusiasts. Tremendous opportunity.